Make plans to join us on Friday, April 27 with guest speaker Kat Kavanagh for a “game”-filled talk that will explore how shifting our mindset can help us live more fulfilling lives. Kat delights in making the mundane exciting, whether it’s races, games or competitions (with random prizes!). Kat as been described as having the spirit of a 5-year old: she can’t help but transform everyday life into fun and games. Luckily, her passion fits her work: she’s a web/graphic/game designer, who loves making fulfilling and joyful experiences. 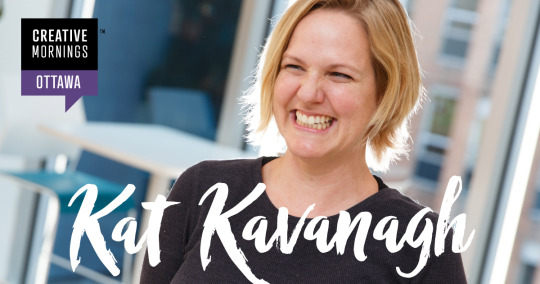 Tickets are FREE and will be available at https://creativemornings.com/talks/kat-kavanagh at 11 a.m. sharp on Friday, April 20. Mark your calendar and set your alarm!